Was working on cinching down cargo netting on some waste pallets we’re supposed to be sending off on a retro flight some time this week, when Jared got a radio call. He signaled me and Tamra to follow him. There’d been a spill over at Materials, and they wanted everyone they could get to help out. 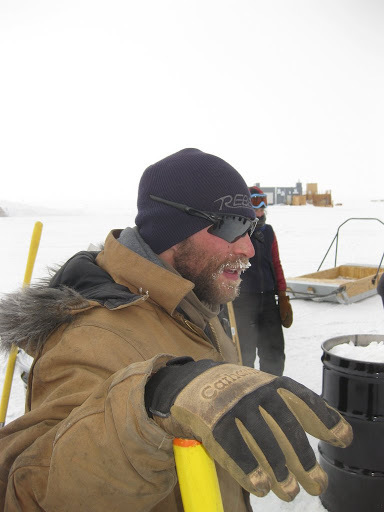 The Antarctic treaty is pretty strict on cleaning up everything that touches the ice here, so the USAP takes spills of any kind very seriously; back in Denver I think we got as much training (and admonition) on spill management as we did on all other safety-related issues combined. You won’t necessarily get in trouble if you accidentally dump a load of diesel on the ground, but you’re going home in a can if you don’t report and remediate it properly. 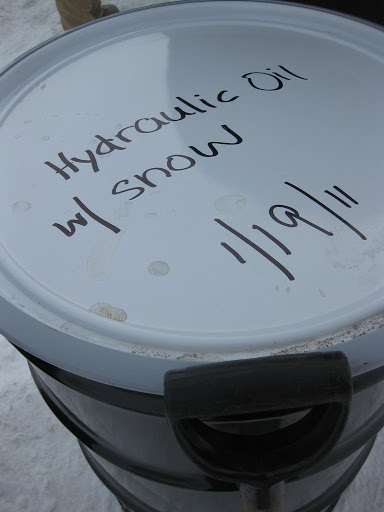 In this case, a barrel of hydraulic oil had gotten skewered by a forklift. It drained all over the pallet and into the snow below. Not particularly nasty stuff, but there was a lot of it, and the Materials folks needed help. 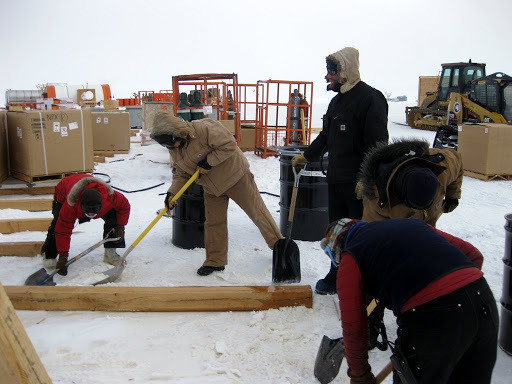 We grabbed shovels on our way past Cargo and joined the party (Matt: “Woohoo – a hazmat party! This is a better showing than we had for Christmas!”). 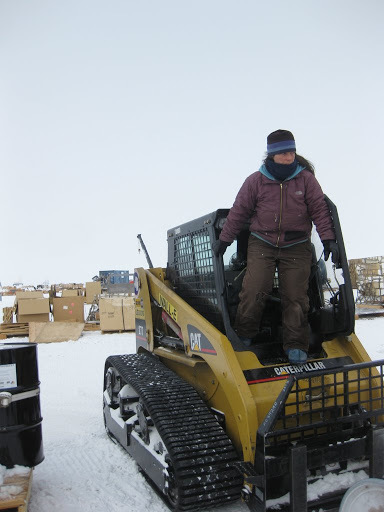 Amanda brought over empty barrels in WALL-E, a cute little Cat 277 loader (Gads – I can’t believe I’ve called a front-loader “cute”. Too much time in Cargo, I suppose). 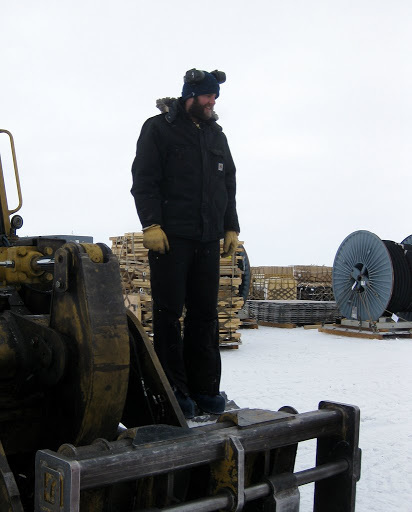 Jared found a pickaxe somewhere and demonstrated his ample John Henry skills, chipping out boulders of frozen hydraulic oil+ice gunk which the rest of us shoveled into the waiting barrels. It was all dug up, barreled and labeled for retro in less than a half an hour. First!OK seriously, you have a ridiculously cool job down there. Oh, there are much cooler jobs down here. 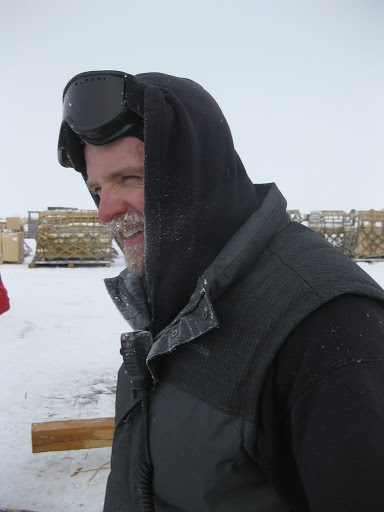 Speaking of which: do you know anyone with serious Linux chops who's available to sail from McMurdo on the Nathanial B Palmer for 68 days? Out from McMurdro circumnavigating the coast for a Drake Passage crossing (woo-hoo!) to Chile starting next month. 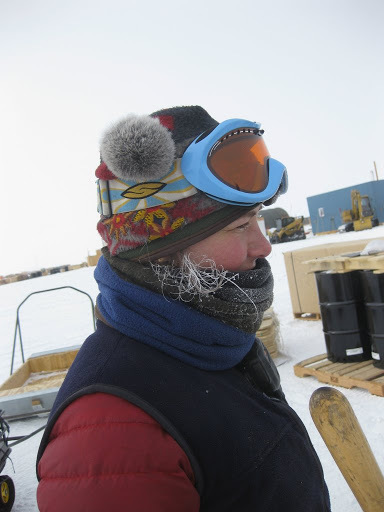 Fellow co-workers – this is your chance for some serious Antarctic adventure, if you move quickly!